In a speech before the Israel Council on Foreign Relations (ICFR), which operates under the auspices of the World Jewish Congress, Enver Hoxhaj, chairman of the Parliamentary Committee on Foreign Relations of the Kosovo and former minister of foreign affairs and of education, spoke about Kosovo's desire to achieve recognition by the State of Israel. 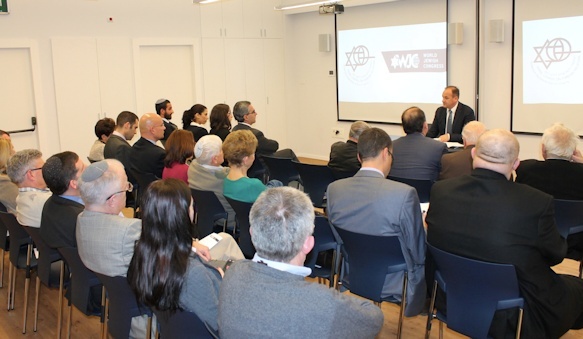 Hoxhaj said that the rise of the State of Israel was seen as a model for Kosovo in its struggle for independence and expressed admiration for the achievements of the Jewish state in many fields of endeavor. He stressed that as a student at the University of Vienna, he had become well acquainted with the writings of Theodor Herzl and these had served as an inspiration to him and some of his compatriots. On relations with Serbia, Hoxaj noted that much progress had been made in the last three years including bilateral agreements such as one on integrated water management; the opening of six border crossings; and the establishment of a Kosovo liaison office in Belgrade and a Serbian one in Kosovo's capital Pristina.